Home » Gallery » 2.50. 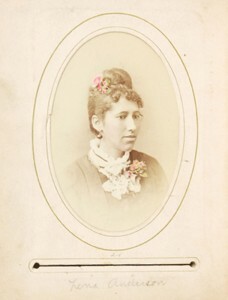 Harriet Alfarata Chapman. CDV. Harriet Alfarata Chapman. Album 2. Image 50. CDV. This image was originally labeled “Woman with Lace Blouse.” Our closer comparison with the adjacent image, “Pleasant Island,” suggests that it is a portrait of Arabella’s younger sister. 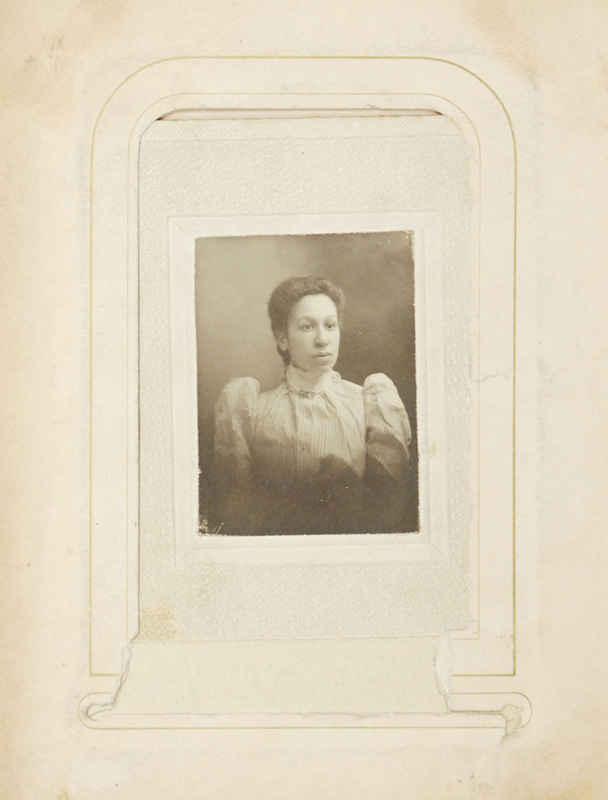 Harriet Alfarata Chapman was trained as a stenographer and worked for the state library in Albany. She married a John Thompson. After her death in 1922, publisher J. B. Lyons released her novel, Idealia, a Utopian Dream, or, Resthaven. [ 2.50. Harriet Alfarata Chapman. CDV.